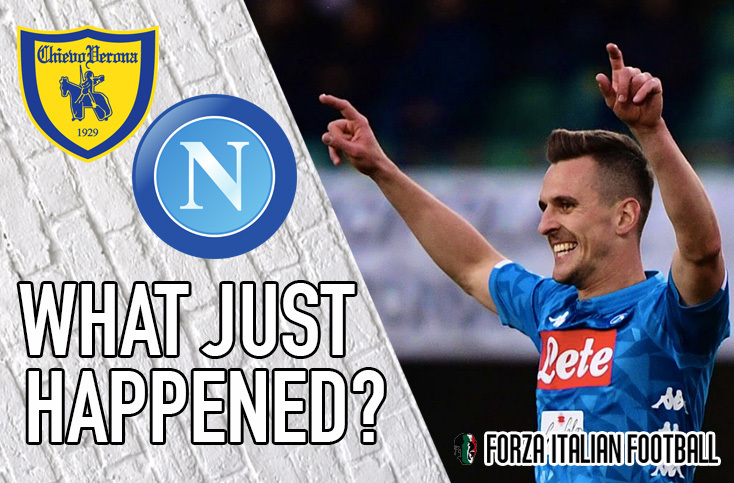 It has been quite the ride for Chievo, but the Flying Donkeys crashed down to earth as a 3-1 defeat against Napoli has ended their time in Serie A. The result in Verona was going to be decisive at one end of the table or the other, with anything other than a Napoli win confirming Juventus’ eighth consecutive Scudetto while Chievo failing to pick up three points would see their fate sealed – and so it proved. Always the underdogs in the top tier of Italian football, the Gialloblu soared as high as achieving Champions League football during their stay. But now damage limitation will be a priority and the slope could be slippery outside of Serie A. Our man Conor Clancy was in Verona to take in the game for us.